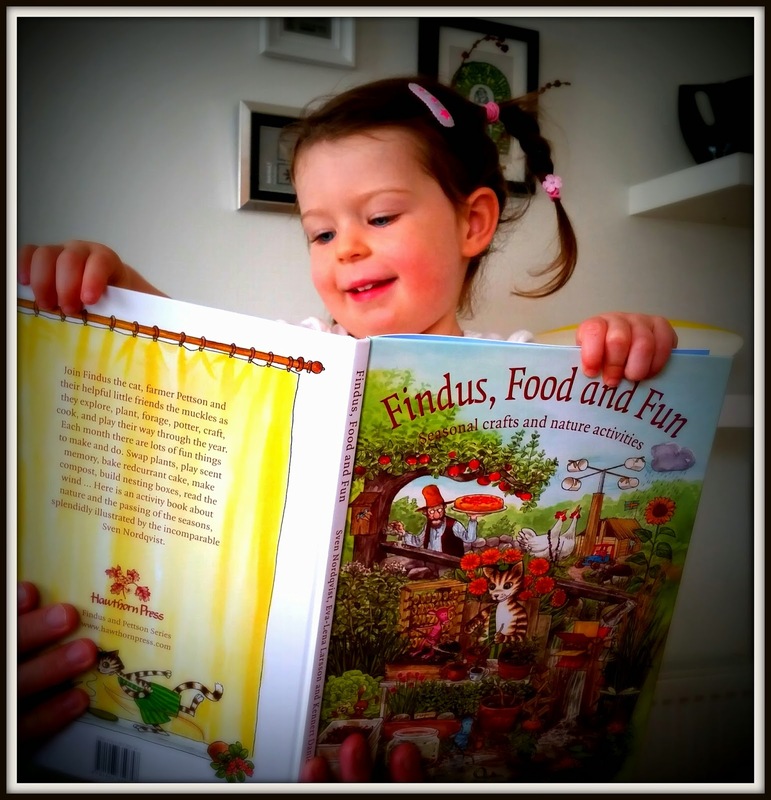 Here I am reading my review copy of "Findus, Food and Fun"
Do you remember that I reviewed "Findus Plants Meatballs" back in May of this year? It got a lovely 4 star review from me. Well, the clever people at Hawthorn Press (hi Meredith!) have sent me their latest book in the Findus series, which is called "Findus, Food & Fun", to review - can it go even better? 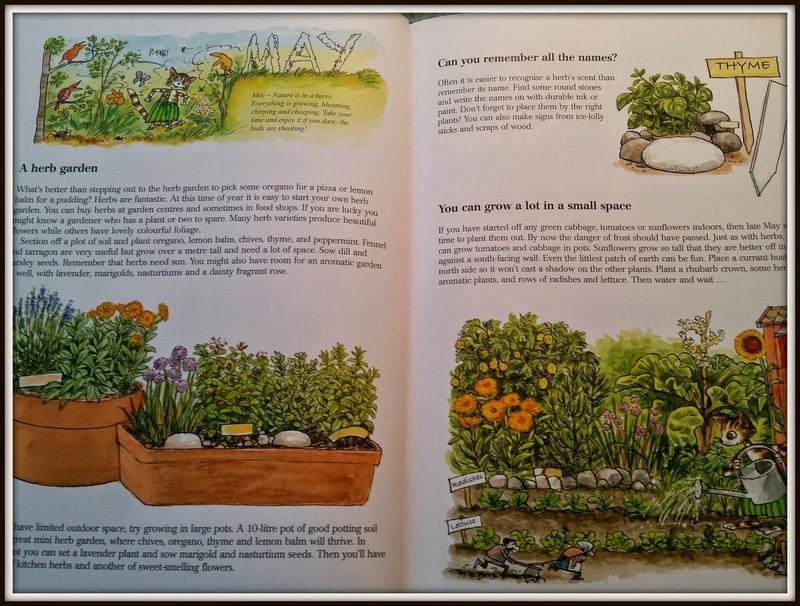 The book is filled with lovely illustrations and things to do. There are wonderful illustrations throughout the book making it bright and colourful. A lot of the projects just use up things you have lying around the house from old socks to beans, lollipop sticks to old bottles. 1. 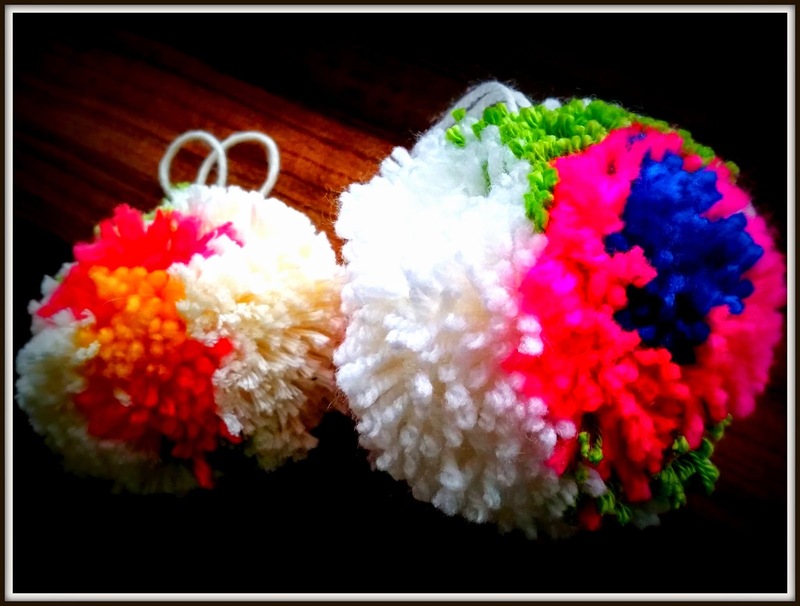 I used a special pom pom maker to make my poms poms. They are inexpensive and make life easier but if you don't have one, you can make your own. Just cut two identical circles from cardboard with a hole on the inside. Is it funky eyebrows? Or just my pom pom maker? 2. Choose your first colour which will be the inside of your flower. I like a nice bright colour for this bit. 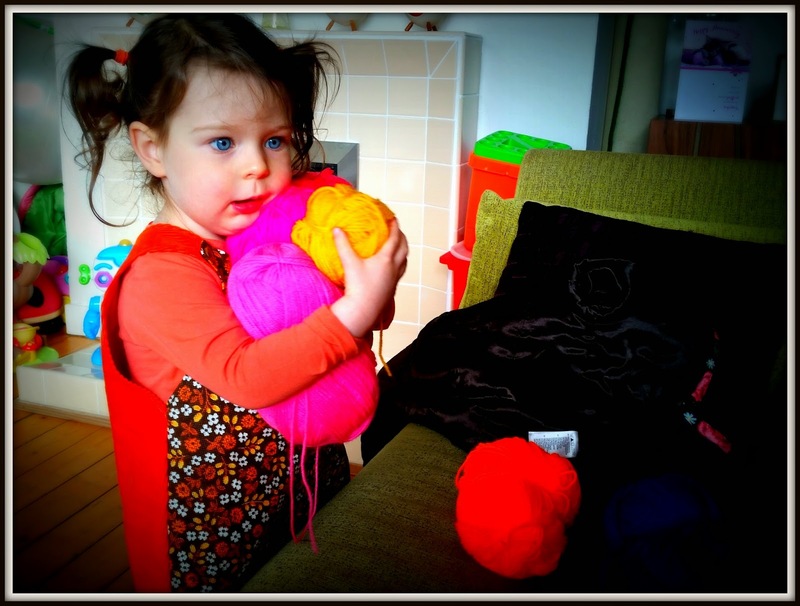 My pom pom making kit works in two halves. If you are using a cardboard circle imagine a line down the middle and you will be doing the same on each half. 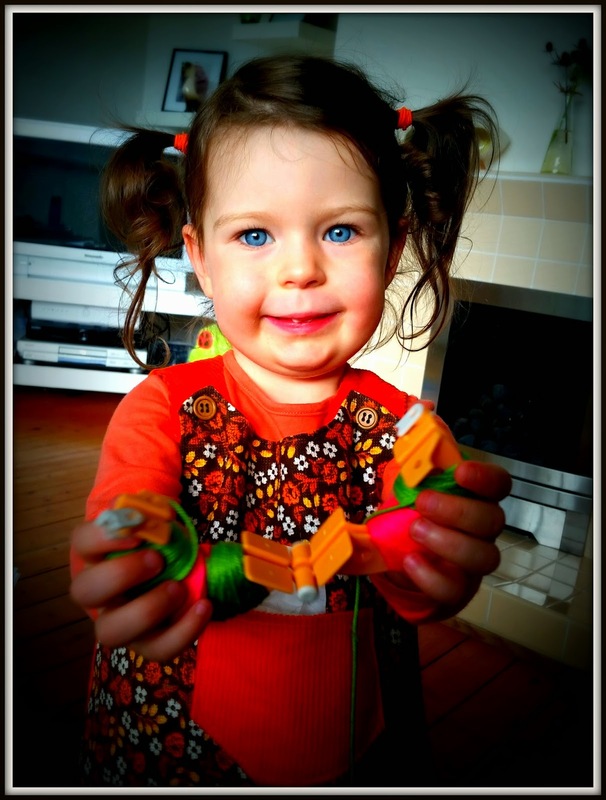 Take your first colour and wrap it around the centre of each half several times. Choosing what colours you want is really tough! 3. Take your second colour (another nice bright colour) and do the same over the top and a little to the sides of the first colour. 4. Next is your leaf so choose a nice green and do some green to each side of your coloured flowers i.e. 4 bits of green. 5. Finally, take your base colour (I used cream) and cover the whole thing until it is all covered and there is no space for any more yarn. 6. Now ask an adult to help. 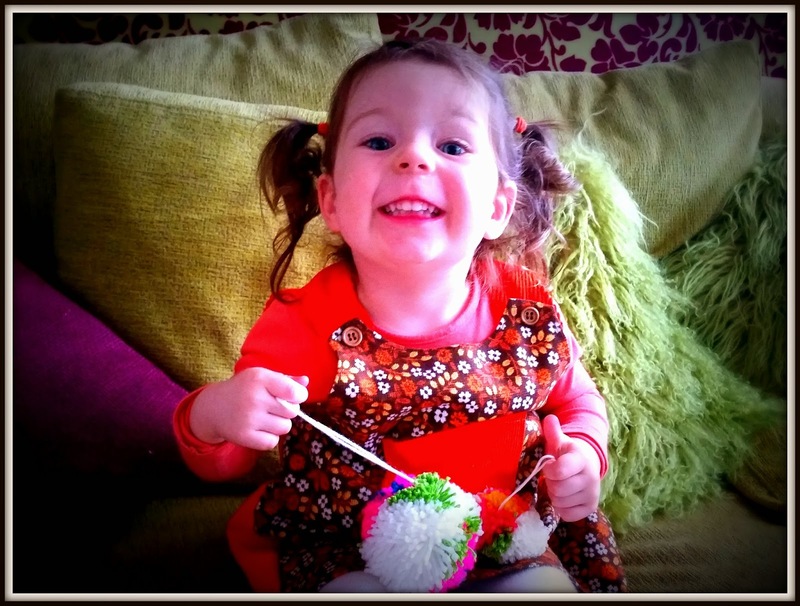 If you are using a pom pom maker join the two halves together. 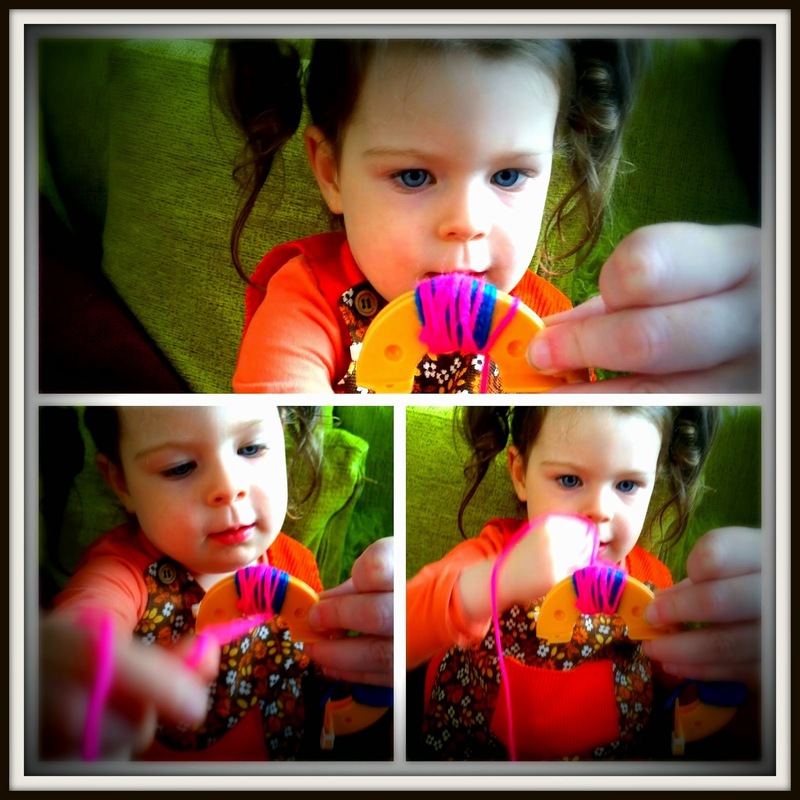 Cut around the edge of your pom pom between each piece of cardboard or the two pieces of pom pom maker. 7. BEFORE you remove your cardboard or pom pom maker, make sure you take a piece of yarn and tie between the two halves really tightly and create a loop to hang your pom pom from. 8. 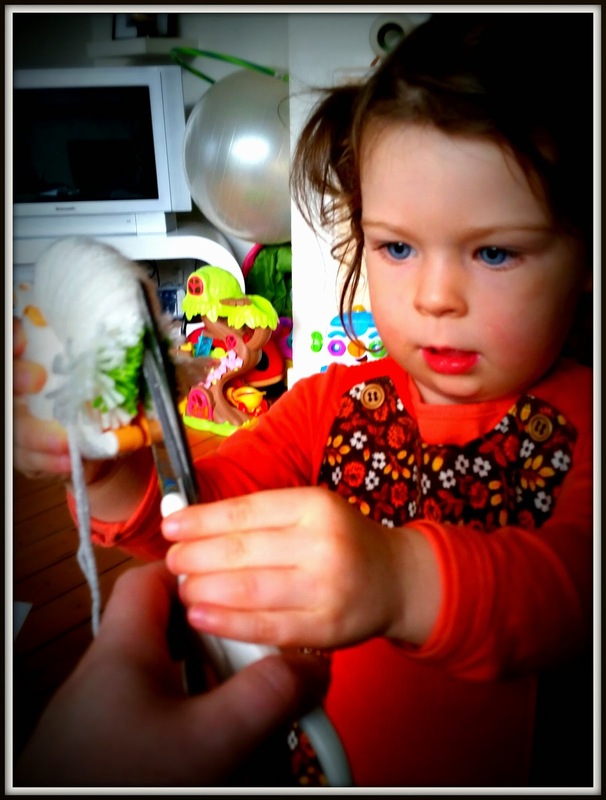 Give your pom pom a little tidy with the scissors. My flower pom poms are so pretty! And there you have it, a beautiful flower pom pom. They are nice to hang up around the house, add as an accessory to a bag or a present or as a Christmas decoration. You could also make lots of them to make a fun Christmas wreath for indoors or sew them onto some fabric to make a wonderfully soft rug. 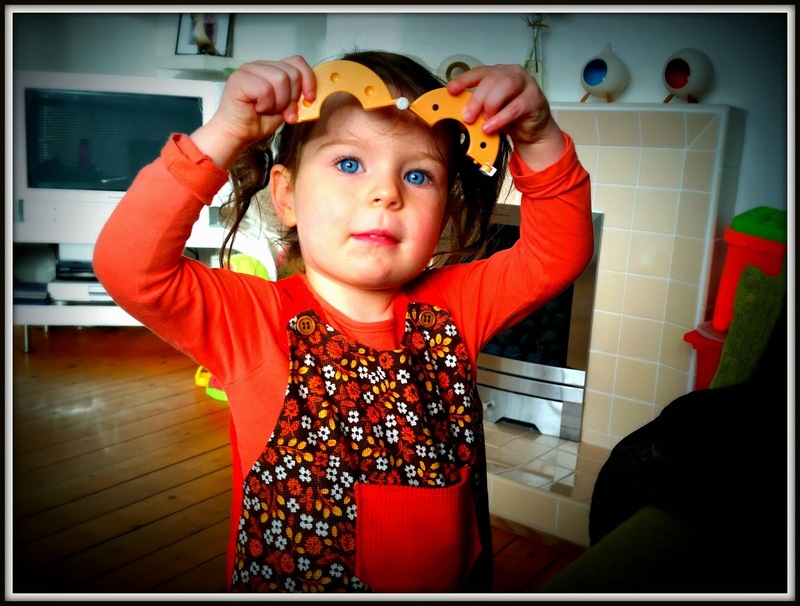 I highly recommend Findus, Food & Fun. Maybe you could ask Santa for it for Christmas? Happy reading and making everyone.